B1B06 code - With the ignition on. 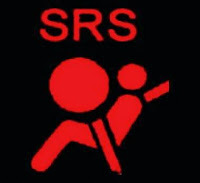 Set condition, the Occupant Restraint Controller (ORC or Airbag Module) monitors the resistance of the Driver squib 2 circuit. The ORC will set this DTC if it detect open or high resistance on the Driver squib 2 circuits. Make sure that the battery is fully charged. Turn the ignition on, with the scan tool read the active ORC DTC. Select active or stored DTC B1B06 code ? Active DTC, go to step 2. Stored DTC, go to step 6. Turn the ignition off, disconnect the 12 volts battery and wait two minutes before proceeding. Failure to follow these instructions may result in possible serious or fatal injury. Disconnect the Driver airbag squib connectors. Do not place an intact non deployed airbag face down on a hard surface, the airbag propels into the air if accidentally deployed. Failure to follow these instructions may result in possible serious or fatal injury. Check connectors, clean and repair as neccesary. Connect the SRS load tool kit and SRS load tool jumper to the driver airbag squib connectors. Turn the ignition on, then reconnect the 12 volt battery and wait two minutes before continuing. Failure to follow these instructions may result in possible serious or fatal injury. With the scan tool, read the active ORC DTC. Does the scan tool display code B1B06-Driver Airbag squib 2 circuit open DTC ? No, turn the ignition off, disconnect the 12 volt battery and wait two minutes before proceeding. Failure to follow these instructions may result in possible serious or fatal injury. Replace the Driver Airbag. Perform the Airbag system verification. Turn the ignition off, disconnect the 12 volt battery and wait two minutes before proceeding. Failure to follow these instructions may result in possible serious or fatal injury. Disconnect the SRS load tool kit and SRS load tool jumper from the Driver squib connectors, disconnect the clockspring connector. Check connector clean and repair as neccesary. Connect the SRS load tool kit and SRS load tool jumper to the clockspring connectors. Turn the ignition on, then reconnect the 12 volt battery and wait two minutes before continuing. Failure to follow these instructions may result in possible serious or fatal injury. With the scan tool, read the active ORC DTC. Does the scan tool display B1B06-Driver airbag squib 2 circuit open ? Turn the ignition off, disconnect the 12 volt battery and wait two minutes before proceeding. Failure to follow these instructions may result in possible serious or fatal injury. Disconnect the SRS load tool kit and jumper from the clockspring connector, disconnect the ORC connectors. Check connectors, clean and repair as neccesary. Connect the SRS load tool adaptor to the ORC connector, measure the resistance of the Driver squib 2 line 1 circuit between the clockspring connectors and the SRS load tool adaptor. Is the resistance below 1 ohms ? No, repair the Driver squib 2 line 1 circuit for an open. Measure the resistance of the Driver squib 2 line 2 circuit between the clockspring connector and the SRS load tool adaptor. Yes, If the Occupant Restraint Controller (ORC) is dropped at any time, it must be replaced. Failure to follow these instructions may result in possible serious or fatal injury. Replace the Occupant Restraint Controller (ORC). Perform the Airbag system verification. No, repair the Driver squib 2 line 2 circuit for an open. Diagnose and repair all active codes on the ORC or Airbag Module before diagnosing stored. With the scan tool, record and erase all Airbag system module DTC. Using the wiring diagram/schematic as a guide, inspect the related wiring and connectors for chafed, pierced, pinched, and partially broken wires, and for broken, bent, pushed out, corroded, and contaminated terminals. Repair as neccesary. Reconnect all disconnected components and harness connectors. Turn the ignition on, then reconnect 12 volt battery and wait two minutes before proceeding. Failure to follow these instructions may result in possible serious or fatal injury. - Continuing the test until either a code becomes active or the problem area is isolated. In the previous steps you have attempted to recreate the conditions responsible for setting the DTC in question/causing the intermittent condition. Are any active DTC present ? No, no problem found at this time. Erase all codes before returning the vehicle to the customer. 0 Response to "B1B06 Driver Airbag squib 2 circuit open "